We created a smart clothes hanger to encourage people donates their clothes to Fringues to help women reintegrating the job market. 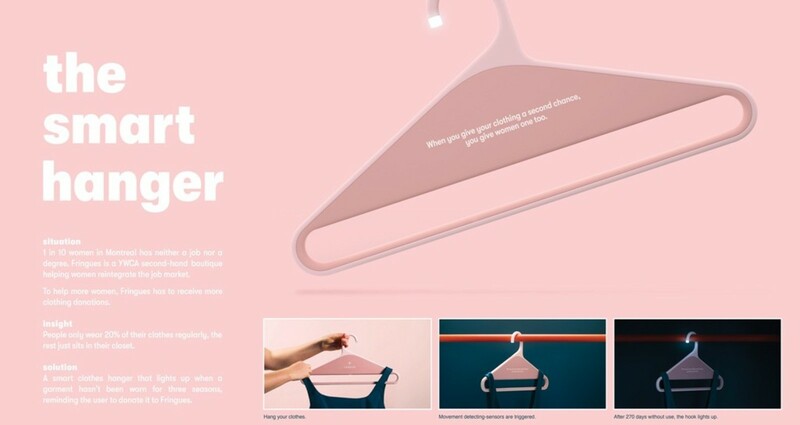 The smart hanger lights up when a garment hasn't been worn for three seasons, reminding the user to donate. I showcased this project because the place of women in our society is important to me and I thought of this project, that DDB really liked and generously offered this campaign to this client. 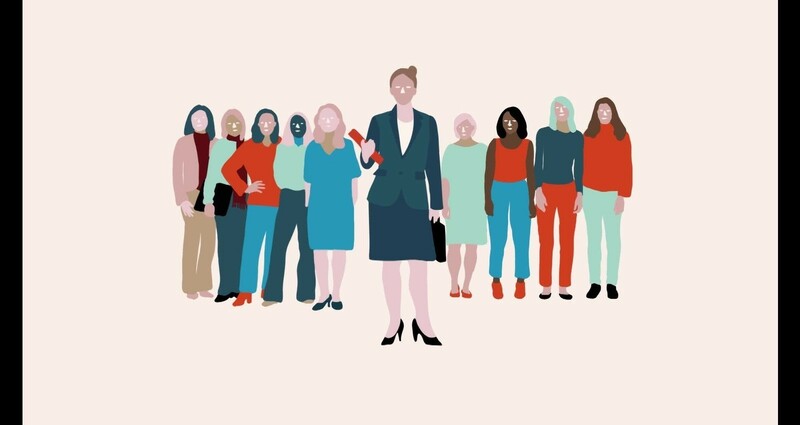 1 in 10 women in Montreal has neither a job nor a degree. Fringues is a YWCA second-hand boutique helping women reintegrate the job market. To help more women, Fringues has to receive more clothing donations. We found out that people only wear 20% of their clothes regularly, the rest just sits in their closer. There were several technical challenges during the realization of this project. As the budget was limited, the industrial designer and we had to find a smart and affordable solution in production costs. We produced the prototypes in 3D printing. Many tests were run to find the best mechanism of the object . Now, we are still looking for partners to launch this projet to a larger audience.